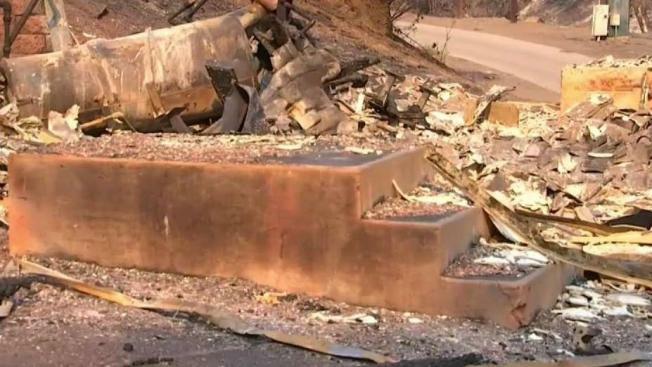 The NBC4 I-Team first learned that two well known Jewish camps in the Malibu hills—where over 40,000 children have spent summers--have been destroyed by the Woolsey Fire. 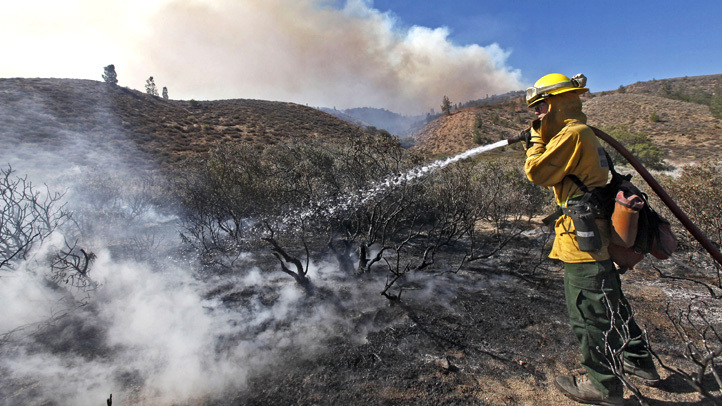 Now, NBC4 has learned that a third camp, also in the Malibu hills, has been destroyed. Eighty-seven out of 97 buildings at Camp Hess Kramer and its sister camp --Camp Hilltop — were leveled by the fire. Now, a third nearby camp, JCA Shalom, posted on its Facebook page “damage is indeed significant and devastating–many structures are partly or completely gone.” Camp JCA Shalom is both a summer camp and is used year round by schools and community groups for retreats. At Camp Hess Kramer, there were 200 LAUSD school children about to go to sleep Thursday night when they were suddenly evacuated, just hours before fire tore through the area. They were attending a science retreat. LAUSD uses the camp every week for science school. "There is massive destruction here," Camp Security Director Cory Wenter told NBC4. "This is a place where kids have gathered and had fun for over 60 years, and now it’s gone," Wenter added. Flames from the Woolsey fire ruined nearly two dozen cabins, dining halls, dance halls, recreation areas, at both camps. Camp Hess Kramer’s outdoor chapel where daily prayer services were held is also in ashes. The camp "evacuated" three holy Torah scrolls from the chapel along with the 200 children Thursday night. The destruction is a huge loss for southern California’s Jewish community and the thousands of families who sent generations of kids here. "Those were places were I made some of the best memories of my life," said 13-year old Ava Maxwell, who spends her summers at Camp Hess Kramer. The camps are owned by Wilshire Boulevard Temple, one of LA's largest synagogues. Camp Director Doug Lynn told NBC4 the camps were insured and they will eventually be rebuilt. "The thing that makes Hess Kramer and Hilltop so special is still there," said Linda Benjamin, who sends her two kids to the summer camps. "It's the people, it's the organization, it's the community and those remain."